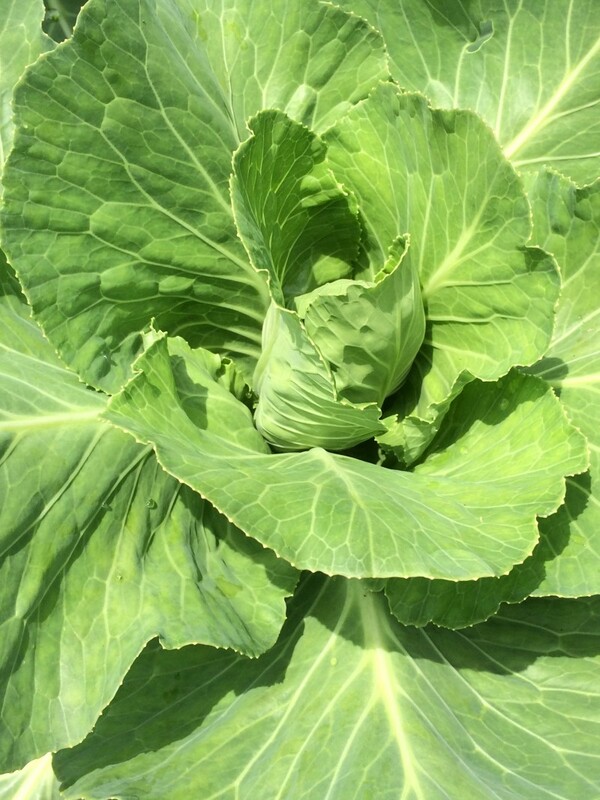 Think about this vegetable fact: In 1903, 544 varieties of cabbage were listed by seed houses across the United States. By 1983, just 28 of those varieties were represented in our national seed bank at the National Seed Storage Laboratory (now the National Center for Genetic Resources Preservation). Hundreds of other varieties have disappeared—not only of cabbages, but also of lettuce and corn and tomatoes and too many other crops to list. And that, in a nutshell, is why it continues to be important to plant heirloom varieties. Stunning color illustrations made vintage nursery catalogs hard to resist. A fine selection of them are now on view at Chicago and Its Botanic Garden: The Chicago Horticultural Society at 125 in the Joutras Gallery and its sister exhibition, Keep Growing: The Chicago Horticultural Society’s 125th Anniversary, at the Lenhardt Library. Through August 16, 2015. Heirlooms have special meaning at the Garden this year, as we celebrate the 125th anniversary of our parent organization, the Chicago Horticultural Society, which was officially established in 1890. What was growing in Chicago vegetable gardens that year? Two big and beautiful beds at the Regenstein Fruit & Vegetable Garden honor the tried-and-true midwestern varieties that were the staples of our great- and great-great-grandparents. 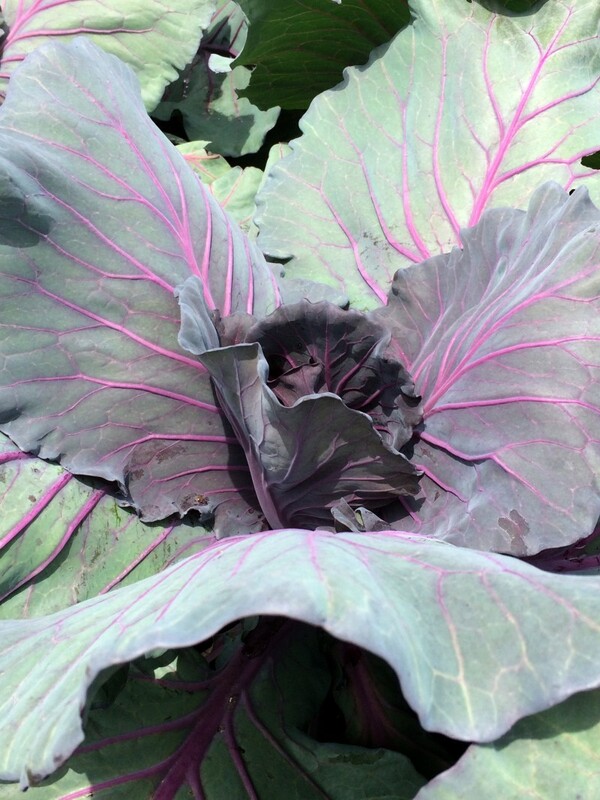 The cabbages beloved by the immigrants who flocked to the Midwest, like ‘Early Jersey Wakefield’ and ‘Mammoth Red Rock’. The beans that could be canned to sustain the family, like ‘Henderson’s Bush’. The root vegetables that could overwinter, like parsnip ‘Mammoth Sandwich Island’ and rutabaga ‘Laurentian’. And the onions and lovage and cutting celery that were the flavor enhancers of the day. Horticulturist Lisa Hilgenberg tracked down the varieties by going to the source: the seed catalogs that nurserymen, farmers, and gardeners ordered from and depended on. In the Rare Book Collection of our Lenhardt Library, she pored over an 1891 Storr’s & Harrison catalog, a Burpee’s from 1901, and numerous Vaughan’s Seed Store catalogs. 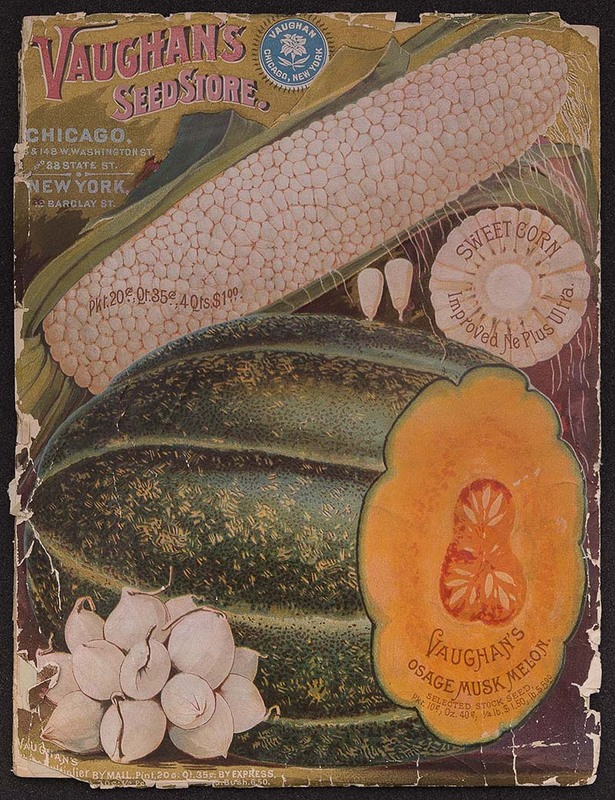 (Vaughan’s started on the East Coast, then became one of the leading Chicago seed houses.) Recognizing that some varieties from the turn of the twentieth century were still available today (‘Bull Nose’ pepper, ‘Philadelphia White Box’ radish, ‘Wapsipinicon Peach’ tomato), she sought out those seeds from sources like Seed Savers Exchange, the D. Landreth Seed Company, and Baker Creek Heirloom Seeds. As seedlings arrived at the Fruit & Vegetable Garden from the production nursery this spring, Lisa planted them in a classic bed layout inspired by the vegetable gardens at Monticello: 4-foot by 6-foot beds (easy to harvest from either side) separated by mulched paths made with wood chips that would have been straw in earlier centuries. As one crop is harvested, the next crop is planted—a nod to the constant production that was a matter of survival for our forefathers and foremothers. As they fill in, the beds create a strikingly beautiful mosaic of color, of texture, and history. Heirloom fruits and vegetables are more than interesting food ingredients—they represent the voices of each generation informing the next. 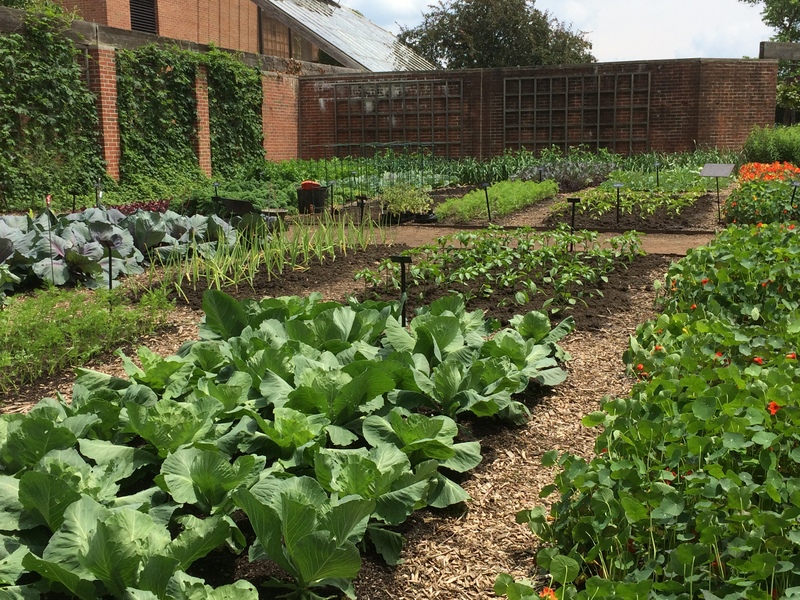 Think about that as you tour the beds (turn left past the breezeway), and as you plan to grow heirloom varieties in your own vegetable garden this year.